In the Peloponnese’s balmy climate and unspoiled nature, you will be irresistibly drawn to the outdoors and the numerous activities offered. Riviera Olympia is an excellent base for excursions throughout the region. 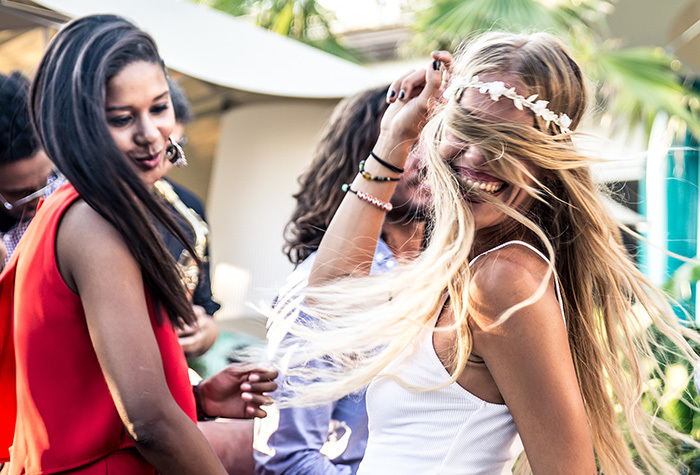 Just step out of your room and onto one of the finest beaches in the Mediterranean. The resort complex occupies a 500-acre beachfront wooded estate, ideal for horse riding, trekking and mountain biking. Enjoy 100 pools and water features and a prime stretch of one of Greece’s longest golden sand beaches, perfect for water sports, swimming, or strolling. Located right on the resort’s golden sand beach with endless options for water sports to suit all tastes. 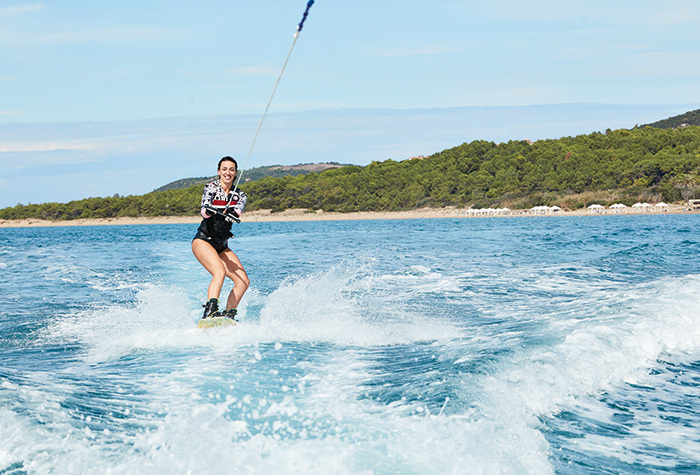 The Riviera Olympia watersports school offers: sailing, windsurfing, water-skiing, pedal boats, canoes, banana & rings, wakeboard, kite-surfing, top cats, watersport training & courses. Revel in the beautiful underwater world of the Mediterranean. 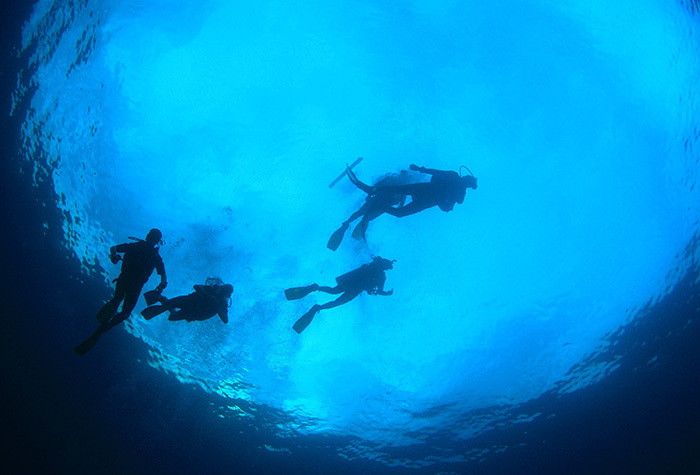 PADI certification for beginners and dives for all levels. Need into here! Courses with qualified instructors in water confidence, learning to swim, stroke improvement and water safety. Children grow to love the water, while the bond with their parent is strengthened. Children become more confident, courageous, sociable and intelligent - the benefits for their character and personality are multifield. Water babies 6-12 months. Aerobics and pilates in the water, exercise in a low impact environment to the rhythm of music. Great cardio workout that improves muscle strength, flexibility and also helps reduce fat. Aqua Relax is a relaxation technique that appeals to everyone regardless of age. It is a series of gentle movements and gentle stretching in warm water, which relieves physical and psychological stress. It can be applied individually to people looking for a little time tranquility and peace. Suitable for all ages and abilities; also suitable for pregnant women. 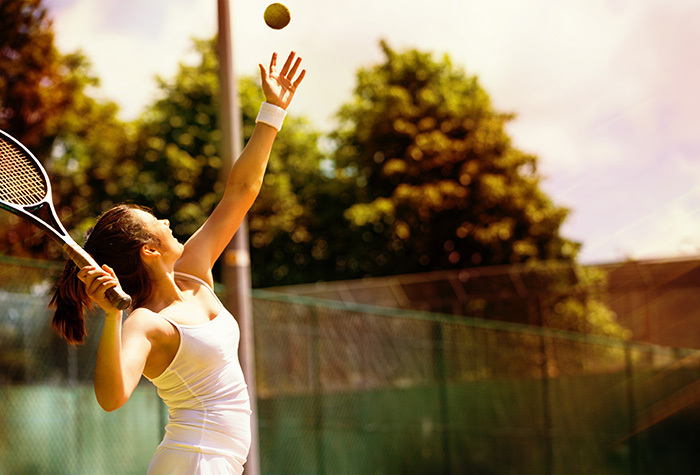 The Grecotel Riviera Olympia Tennis Academy offers comprehensive programmes for all levels of players. Courses are designed to work on all aspects of your game in either individual or group sessions. 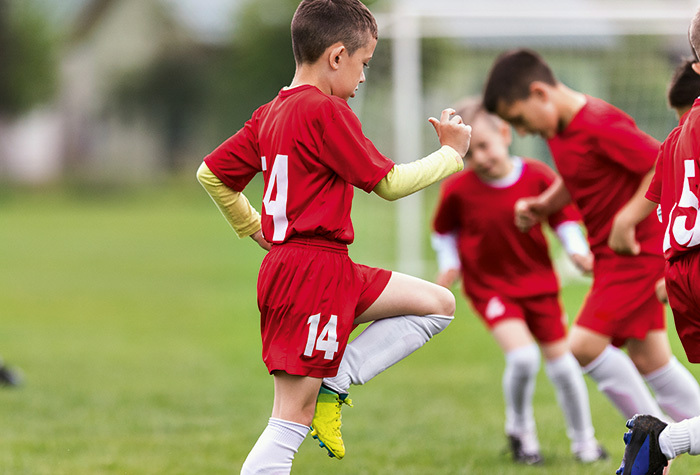 The Academy is staffed by accredited professionals. 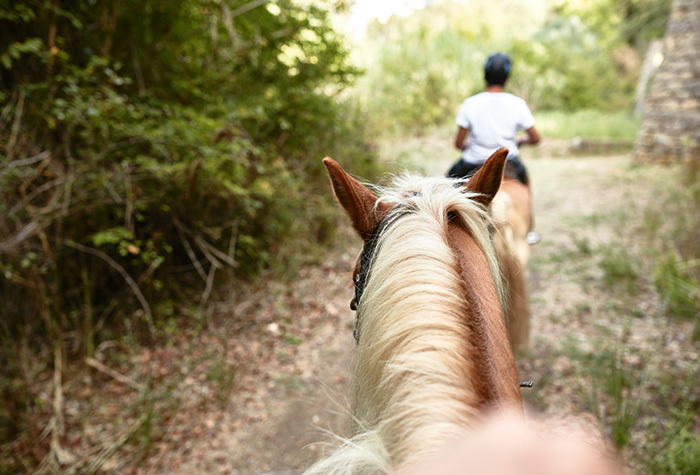 Enjoy horse riding by the beach with your beloved or let us organise it amidst Kyllini's virgin forest. Even in paradise, it’ s simple things in life our kids love. Ponys? Yes! Despite all the activities within the resort, for kids it’s all about cute little ponys. Meet us at the resort’s Equestrian Stables. 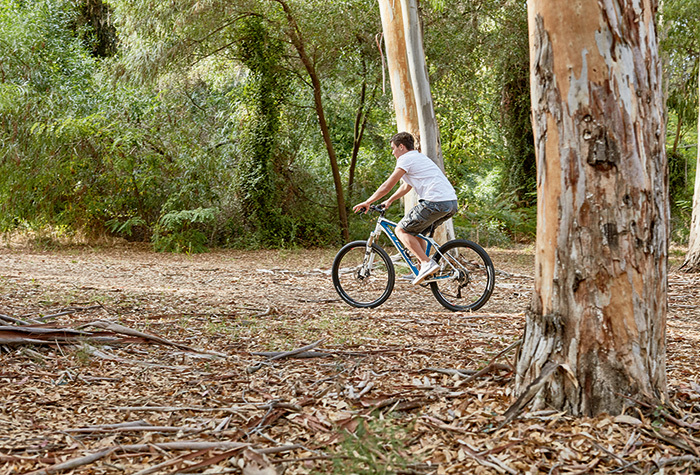 Mountain biking or participation in a full-day mountain bike excursion is an excellent way to see the area’s natural beauties, whilst keeping fit (bike paths are also available within the Resort and the wooded hills near the hotel). Your personal trainer awaits to get you into the shape you want during your holidays with Grecotel. They will take you through any work out you need from weightlifting equipment to personalising your own boot camp - you decide. 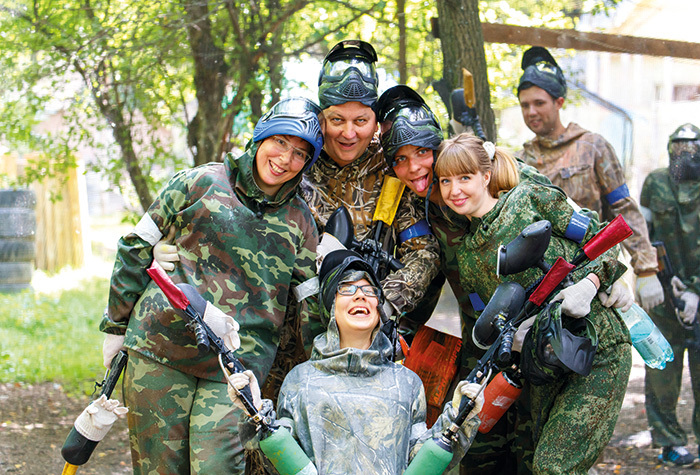 Paint your holidays with colour in our paintball facilities at Grecotel Riviera Olympia. Come play paintball with absolute safety in our action-packed slopes under the guidance of our experienced referees. A great sport for all (above 8 years), paintball is perfect for a company event, birthday party or just family fun. A bird’s eye view unlike any other. Paramotors (also known as powered paragliders) combine the easy flying characteristics of a paraglider with the autonomy and range of powered flight. The power comes from a small motor driving a propeller, worn like a backpack under a paraglider wing and providing thrust to take off, climb and maintain level flight. A multi-activity camp full of great activities for the children is operating during high season. What if we could offer you a trip back to the memory lane, make you revisit your childhood when everything was carefree and fun? 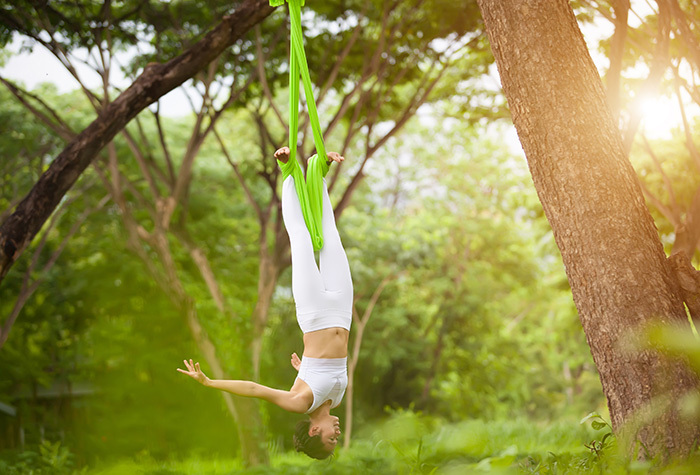 Well now every day except Friday you can fly like Peter Pan, flow in the air hanging from a hammock made of soft materials, train your body and relax your inner thoughts. 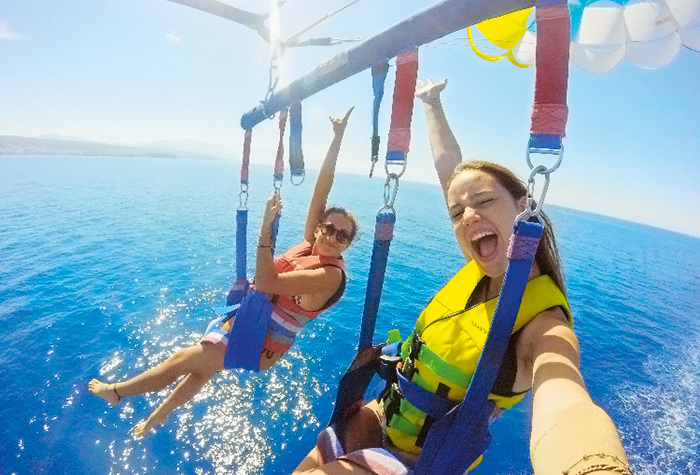 Aerial yoga is expecting you in Grecotel Riviera Olympia & Aqua park. So are you ready to turn everything upside down?